we define your roadmap for Digital Transformation - tailored to your needs. 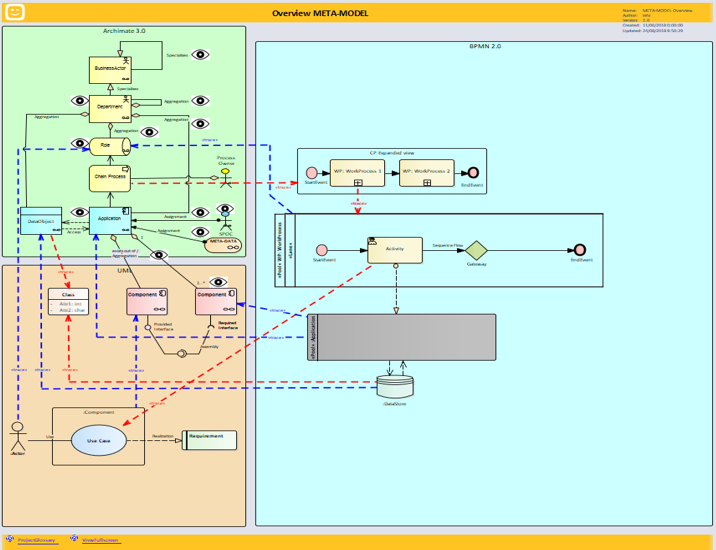 Enterprise Architecture, with Archi and Archimate, evangelist for Business and Technical people. Reference description: Enterprise Architecture, with Archi and Archimate, evangelist for Business and Technical people within Digipolis Gent. Enterprise Architecture, with Archi and Archimate, evangelist for Business and Technical people within Digipolis Gent. 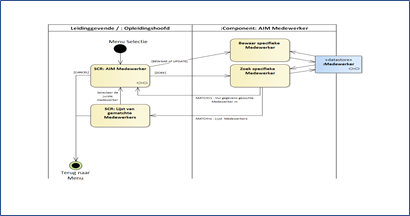 Reference description: Defining an end-to-end META-MODEL to construct an end-to-end Enterprise Architecture framework for all Stakeholders / Views into the organisation. De Lijn wants to model all their knowledge into an end-to-end framework. Defining an end-to-end META-MODEL to construct an end-to-end framework. 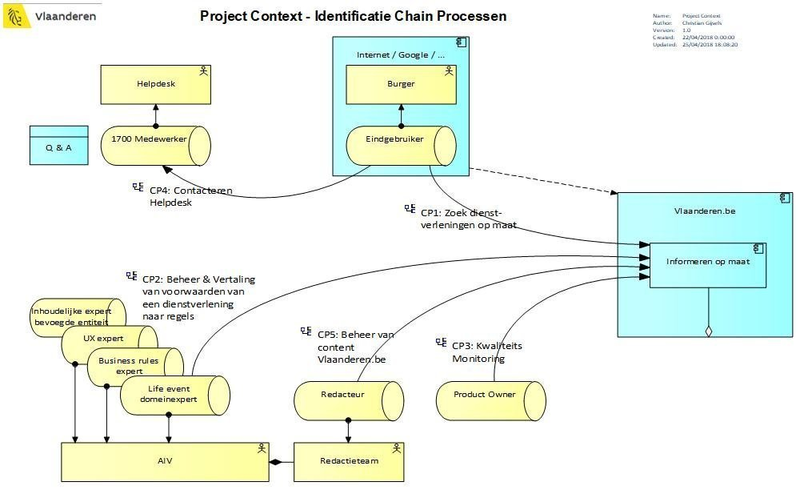 Enterprise Architectuur voor het project DienstVerlenings Register binnen het Agentschap AIV / Agentschap Informatie Vlaanderen. Enterprise Architectuur voor het project SubsidieRegister - Slimme Subsidies binnen het Agentschap WVG / Welzijn, Volksgezondheid en Gezin. 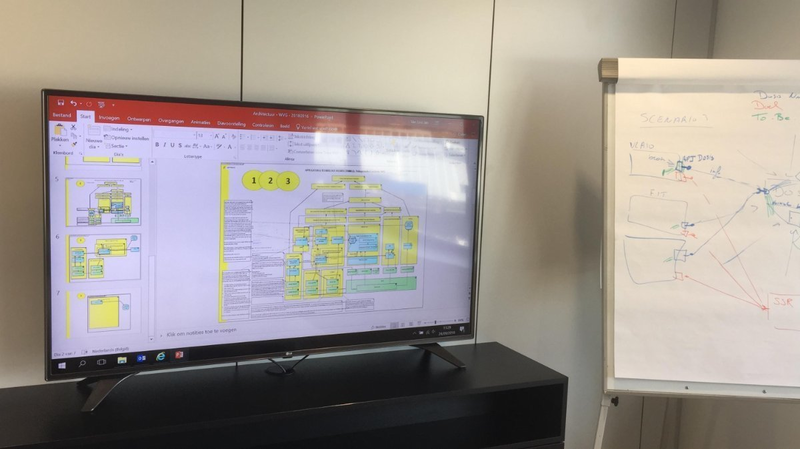 Enterprise Architectuur en Business Rules Analyse voor het project Informeren op Maat binnen het Agentschap AIV / Informatie Vlaanderen. 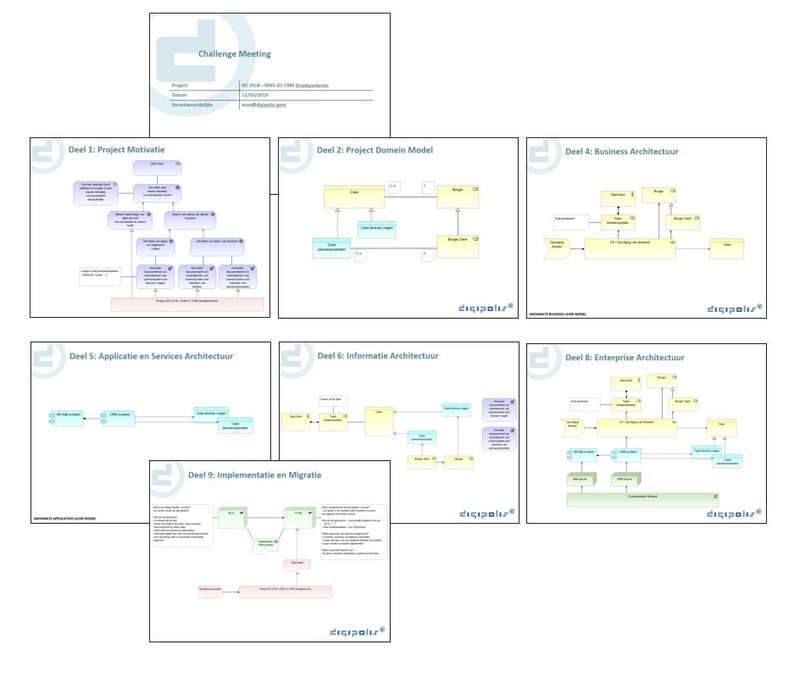 Reference description: Enterprise Architecture Framework Set-up and META-MODEL Design with SPARX E.A. 13. Telenet want to have an End-to-End multi dimensional Enterprise Architecture Knowledge Framework made in SPARX Enterprise Architect. 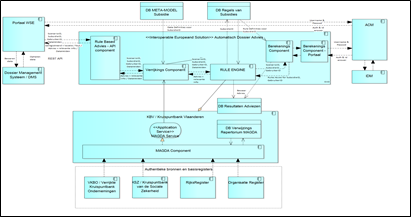 Telenet want to have an End-to-End multi dimensional Enterprise Architecture Knowledge Framework made in SPARX Enterprise Architect. In a world of accelerating change and technology innovation, helps our clients identify areas, that will make an impact on their business, in order to drive focus on practical solutions that support the key business strategies. We help our clients by providing leading practices, thought leadership, solutions, subject matter experts with a global experience, and tools and accelerators to drive value quickly. As digitization progresses, incumbents competing in new, digital ways are already outperforming those that continue to operate traditionally. Our clients expect significant risk to their revenues from digitization if they take no action to respond in the years ahead. We help our clients to facilitate digital transformations by managing technological complexity and setting a course for the development of their companies’ IT landscape. By defining Enterprise Architectures, which exist out of Business Architecture, Application Architecture, Information Architecture and Technology Architecture we clearly define the gab between the as-is and the to-be. People who develop and maintain Enterprise Architecture are known as Enterprise Architects. Business architecture is becoming more and more popular these days at organizations. Organizations want to have an insight into how they are organized internally and externally. Business Architecture is a blueprint of the enterprise that provides a common understanding of the organization and is used to align strategic objectives and tactical demands. Business Architecture is a coherent set of business concepts of a business structure or business system. People who develop and maintain Business Architecture are known as Business Architects. 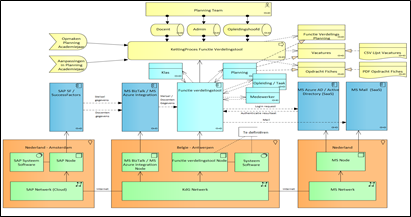 An Application architecture describes the behavior of applications used in a business, focused on how they interact with each other and with users. It is focused on the data consumed and produced by applications rather than their internal structure. In application portfolio management, the applications are usually mapped to business functions and to application . The Applications architecture is specified on the basis of business and functional requirements. This involves defining the interaction between application packages, databases, and middleware systems in terms of functional coverage. This helps identify any integration problems or gaps in functional coverage. A migration plan can then be drawn up for systems which are at the end of the software life cycle or which have inherent technological risks. 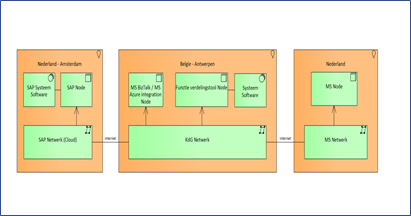 Applications architecture tries to ensure the suite of applications being used by an organization to create the composite architecture is scalable, reliable, available and manageable. Applications architecture means managing how multiple applications are poised to work together. It is different from software architecture, which deals with technical designs of how a system is built. People who develop and maintain Application Architecture are known as Application Architects. The Technology architecture describes the hardware, software and infrastructure environment that is required to support the development and host the deployment of the application components described in the Application Architecture. The Technology architecture is a description of the structure and interaction of the platform services, and logical and physical technology components. People who develop and maintain Technology Architecture are known as Technology Architects. Business Process Analysis / BPA, before you can start improving the business processes, you should first analyze each and every step. The analysis itself can either be super straightforward, with some glaringly obvious potential changes or a bit more difficult, if the problem is not too obvious. In the latter case, you can use some of the business process improvement tools to find the inefficiencies. Business Process Optimization is the act of taking your old business processes and optimizing them for efficiency. The general idea is to make it more efficient – the means of doing that, however, can vary a lot. Business Process Optimization is one of the final steps for Business Process Management / BPM, a methodology that advocates for constant process re-evaluation and improvement. People who develop and maintain Business Process Analysis are known as Business / Process Analysts. Organizations are always pursuing improvements in how they work in order to increase efficiency and reduce errors. This requires analysis and continuous improvement of their working methods, which may include very structured workflows in predictable situations, as well as protocols to respond to dynamic situations where it is impossible to prescribe a fixed process. Case Management with CMMN is a graphical notation used for capturing work methods that are based on the handling of cases requiring various activities that may be performed in an unpredictable order in response to evolving situations. 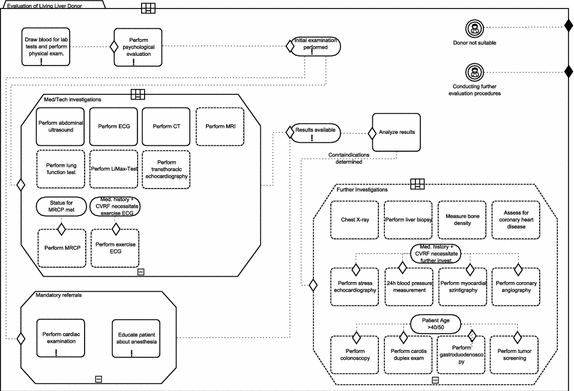 Using an event-centered approach and the concept of a case file, CMMN expands the boundaries of what can be modeled with BPMN, including less structured work efforts and those driven by knowledge workers. 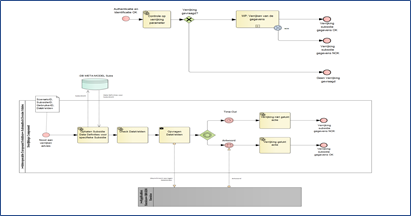 Using a combination of BPMN and CMMN allows users to cover a much broader spectrum of work methods. 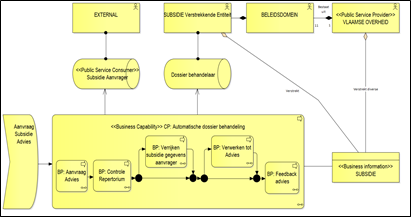 Ad-hoc processes are sets of business activities and corresponding artifacts (e.g. information, decisions and products) that can only be standardized at a high level of aggregation. The actual kinds of activities and their ordering are different from case to case. People who develop and maintain Case Management are known as Business / Process / Case Analysts. 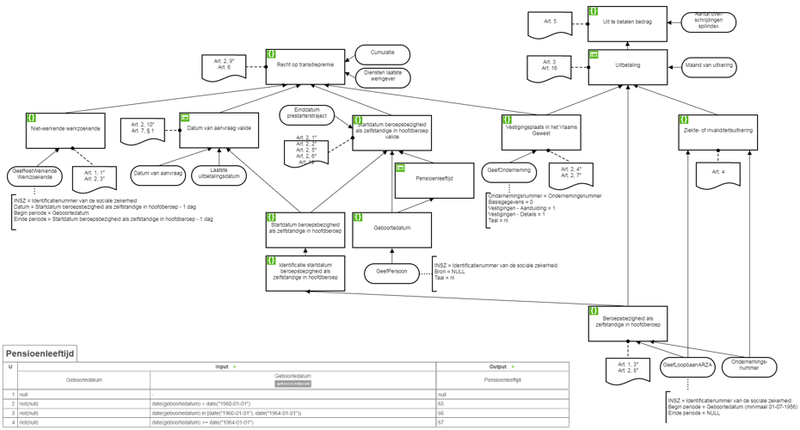 Business process models often encode decision logic of varying complexity, typically via conditional expressions attached either to outgoing flows of decision gateways or to conditional events. The need to separate this decision logic from the control-flow logic and to capture it at a higher level of abstraction has motivated the emergence of the Decision Model and Notation (DMN) or Decision Analysis. A central construct of DMN is that of a decision table, which stems from the notion of decision table proposed in the context of program decision logic specification in the 1960s. A DMN decision table consists of columns representing the inputs and outputs of a decision, and rows denoting rules. Columns may be typed, meaning that they have an associated domain (or facet). Each rule is a conjunction of basic expressions captured in an expression language known as S-FEEL (Simplified Friendly Enough Expression Language). People who develop and maintain Decision Analysis are known as Business Rules Analysts. 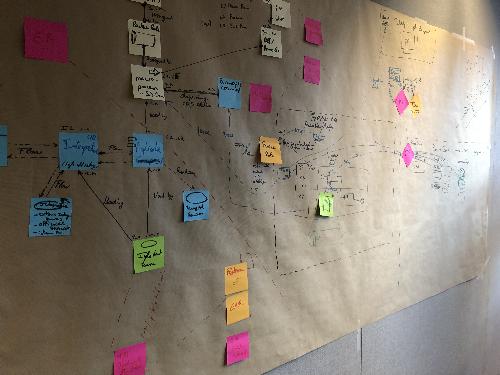 Together with our clients we gather Functional & Non Functional requirements from clients & internal stakeholders, taking into account the strategic product roadmap and existing product capabilities. We will translate them into a detailed functional analysis and work hand in hand with your team of technical architects to define the ultimate product solution. People who develop and maintain Functional Analysis are known as Functional Analysts. Thank you for your interest in GIJSELSDOTCOM. Please fill out the form below to ask a question or report and we will answer you message ASAP.